Toastmasters Speeches: Understanding Your Leadership Style-Sample Speech IP2, "Transact or Transform?" This is my 5th speech under Pathways. The speech was delivered at the BF Community Toastmasters Club (BFComm) in the Mar.17, 2018 Toastmasters Meeting. Duchess Munsayac ACB ALB evaluated me for this speech. Have you ever heard someone talk that way to you? A boss? A team leader? A college professor, maybe? Now, you may say those words are a bit harsh. Well, they may be more common than you think. In a previous manufacturing company that I worked for, you won’t be surprised if you hear such words from managers, especially when there are huge problems in the production floor. Good afternoon, everyone. 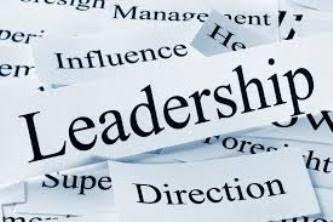 The words Transactional Leadership and Transformational Leadership were first coined by a leadership expert by the name of James Macgregor Burns in the 80’s. These two, transactional and transformational are the two modes of leadership that tend to be compared the most. In the book entitled “Transformational Leadership”, James Macgregor Burns distinguished between transactional and transformational leaders by explaining that: transactional leaders are those that use reward and punishment for the work and loyalty of followers. Transformational leaders are those who engage with followers and focus on the significance of the team’s mission. Oftentimes, the phrase “The end justifies the means” is attributed to Niccolo Machiavelli. 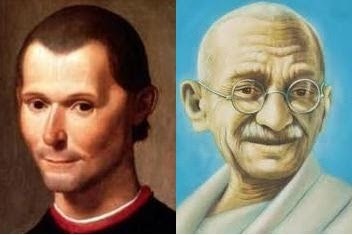 Machiavelli’s philosophy embodies what Transactional Leadership is all about. On the other hand, a leadership style from someone like Mahatma Gandhi would illustrate what Transformational Leadership is all about. Now, going back to our earlier example with the boss not caring for excuses but rather only on results, where do you think does that fall: Transactional or Transformational? The conclusion of our recent HPL or High Performance Leadership may provide some illustration for this. In the HPL, I had schedule conflicts with our coordinator at the parish. She was insisting that we facilitate the workshops on a Sunday, because that was the most convenient time for the participants. The discussions have been going back and forth and the schedule has been dragging on and on. I was about to give up and agree to a Sunday schedule, just to get it over with. I threw the question to the team members, and Ching was the first to object. And I understood my team members’ concerns. The team members all had day jobs and Sunday is really just time for family and self. So I told the coordinator, unequivocally (word of the day), “No Sunday!” Instead, I gave her our list of available schedules so she could choose which Saturday would be convenient. But this illustration can work both ways, by the way. Another point of contention was the medium of instruction to use. I told the coordinator that, we as Toastmasters, use English as our communication tool. Our coordinator said it wouldn’t work with most participants coming from depressed areas. It was a tough call. So I consulted with the group. In the end, we all agreed that all lectures and demos will be in English and the actual speeches will be in Taglish. It was the best compromise. Because it was either that or the participants wouldn’t speak at all – which really defeats the purpose of public speaking. And as Ching would attest, it worked out so well. So, which is more effective? Transactional or Transformational? My answer? It’s always somewhere in the middle. I took the Leadership Style Scoring Guide for this speech project and my results show that the top 3 traits that describe my leadership style are: Coaching, Pacesetting and Authoritative. Those are my top 3. And I realized that the behaviors to demonstrate those traits are always within that range between Transactional and Transformational. So I think effective leadership isn’t just about this or that, but rather the ability to adjust and be flexible enough to move within that spectrum as the situation calls for it. The knowledge and wisdom that you gain is what stretches you to become a better leader.